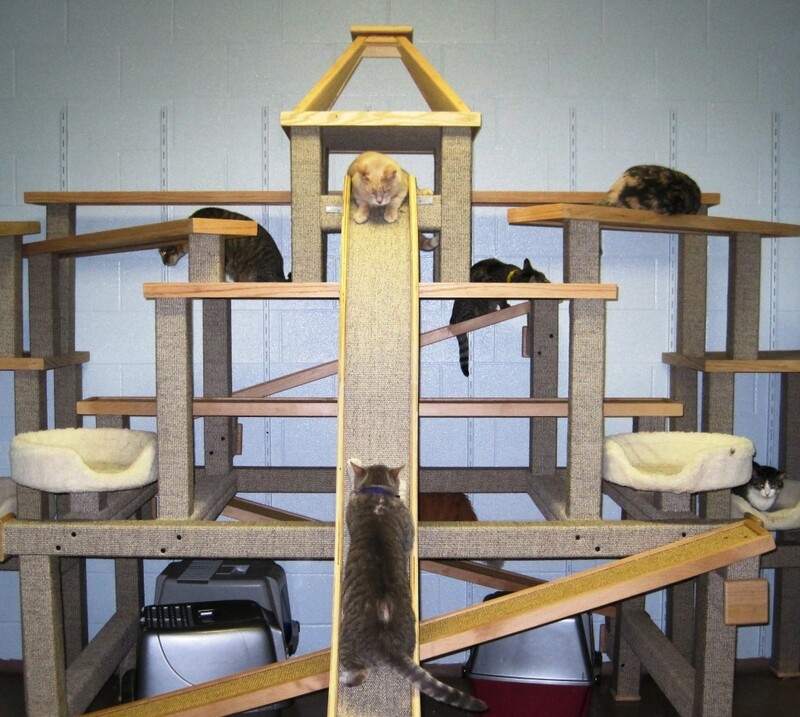 We are a municipal facility providing animal control and sheltering services to our community. 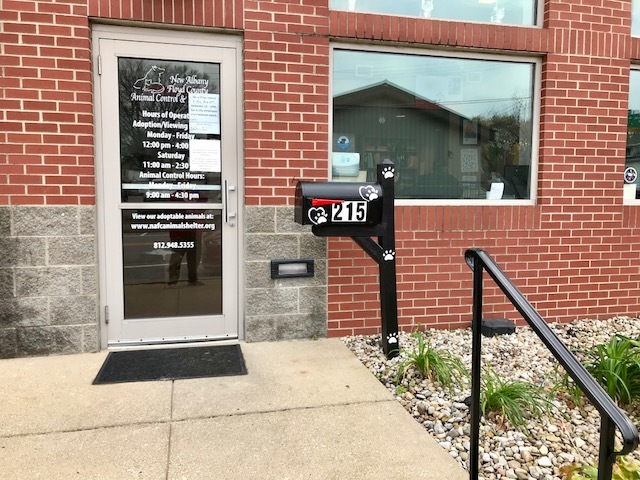 Supporting us in this endeavor are two local non-profits, the Floyd County Animal Rescue League (FCARL) and the Floyd County Humane Society (FCHS). The shelter is located at 215 West Market Street (across the street from the rear of the Tribune bldg.) in New Albany, IN. 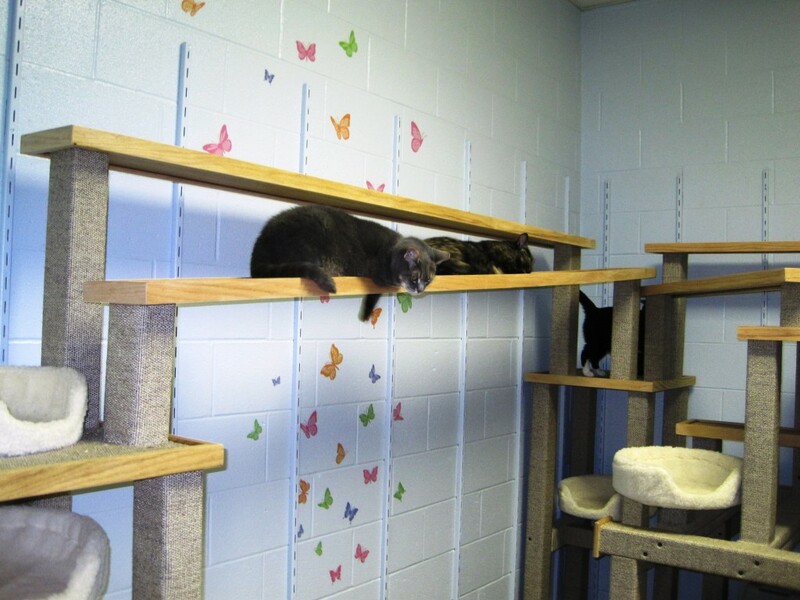 Our shelter has many progressive and community oriented programs, including a room dedicated for training and education. 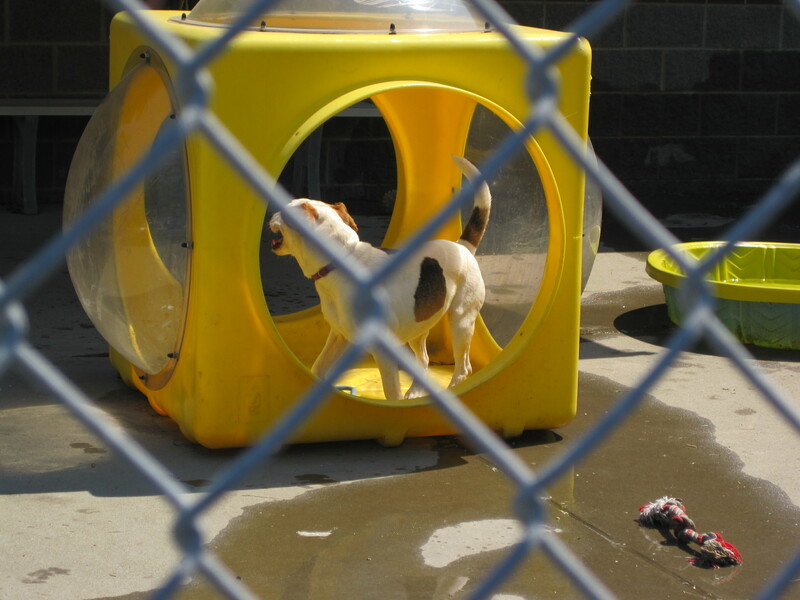 Schools, clubs and organizations are encouraged to bring in groups to tour the shelter and learn more on animal care, training and other specialized topics. We have even hosted the occasional birthday bash! Call (812) 948-5355 for more information. 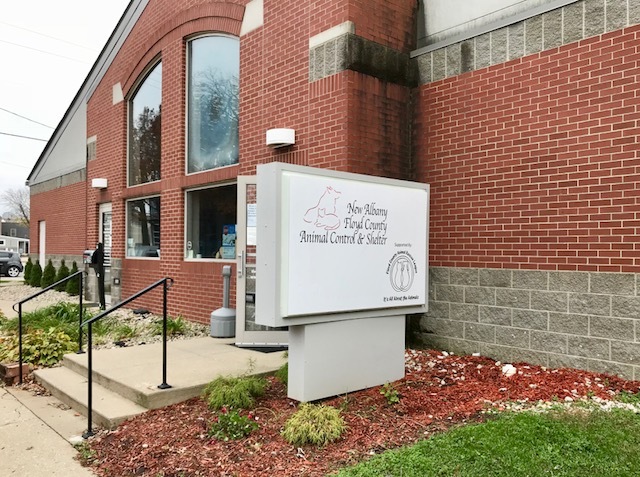 New Albany Floyd County Animal Control and Shelter was established by an inter-local agreement between the City of New Albany, Indiana and Floyd County, Indiana Governments in 1968. Its mission is to provide services which safeguard public health and safety, educate its citizens on responsible pet ownership, protect our community’s animals from cruelty and neglect, and to humanely house, care for and provide placement or humane resolution for the animals in its care. 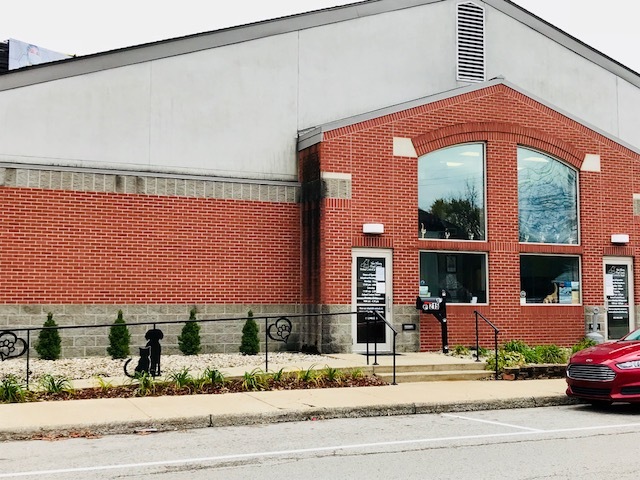 In addition, we work closely with local non-profits and community organizations to reduce pet overpopulation and provide humane education programs to our community. View of Kelsey’s Courtyard, a play and meet n greet area. Sammy playing in the courtyard! Cats enjoying our large communal cat room! 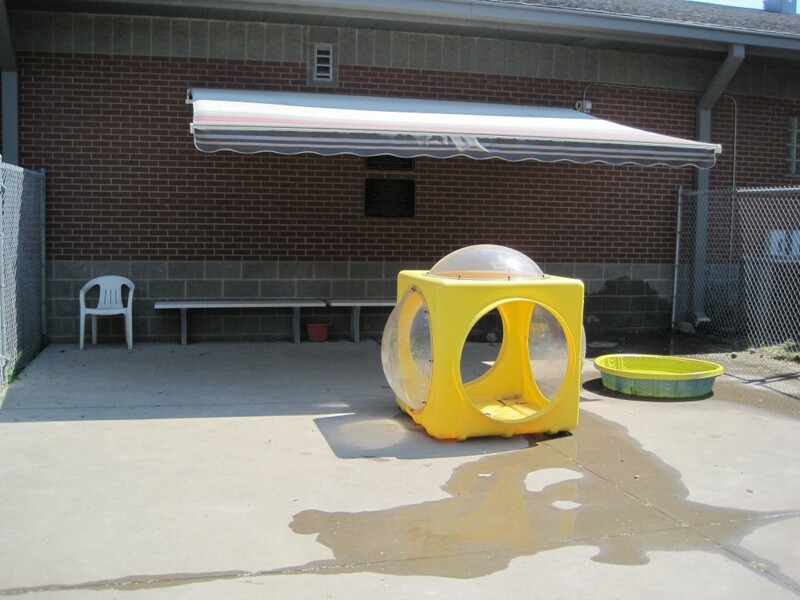 We at the New Albany Floyd County Animal Control & Shelter are committed to PLACING EVERY ADOPTABLE CREATURE ENCOUNTERED. Once an animal has met our criteria for adoptability, we will use all of our resources to facilitate their adoption , and maintain their health and behavior until placement in a forever home. No animal will be euthanized due to space! We invite other municipal animal shelters to accept this mission. “No-Kill” is a term that is difficult for government facilities to embrace, due to their obligation to protect and serve the community first. We issue the challenge for others to accept Operation: P.E.A.C.E.! Here at the NAFC Animal Shelter we adopt many different types of animals. For more information about pet adoption, click here. For information about Animal Control and Licensing click here.